Here’s a quick overview of UA Museums divisions and programs. There’s much more to learn — follow the links throughout to explore further. The Alabama Museum of Natural History is the state’s natural history museum, located in Smith Hall at the University of Alabama campus in Tuscaloosa. The oldest museum in the state, it was founded in 1831. Exhibits depict the natural diversity of Alabama from the Age of Dinosaurs, the Coal Age, and the Ice Age. Collections include items relating to geology, zoology, mineralogy, paleontology, ethnology, history, and photography. Exhibits of special interest include the skull of an American mastodon dredged from the Tombigbee River near Demopolis, Alabama, and the Hodges meteorite, which struck a woman as it fell to earth near Sylacauga, Alabama, in 1954. The museum sponsors expeditions throughout the year, as it has since 1979. This department is a new addition to the University of Alabama Museums. It was created in 2016 and under the direction of Dr. John C. Abbott, and is responsible for overseeing the management and curation of the UA Museums collections and developing interdisciplinary research programs across the University that focus on museum-based research. The department is made up of five full-time staff and works closely with 14 Curators across six different university departments. Discovering Alabama programs are correlated with the Alabama Course of Study and, with accompanying Teacher Guides, support the teaching of K–12 academic requirements for science, history, social studies, geography and environmental education. The shows are rated by teachers as the educational resource “most frequently used” in Alabama schools and can be found in classrooms in every school system in the state. Now, named for the Gorgas family that occupied the home from 1879-1953, the Museum houses original Gorgas furnishings, memorabilia, and a collection of 119th-century artifacts. The building was added to the National Register of Historic Places in 1971. Moundville Archaeological Park is a Mississippian culture site on the Black Warrior River in Hale County, near the city of Tuscaloosa, Alabama. The second-largest U.S. site of its era, Moundville was the political and ceremonial center of a vast Mississippian culture chiefdom between the 11th and 16th centuries. This culture spanned the central Mississippi River Valley, the lower Ohio River Valley, and most of the Mid-South area, including Kentucky, Tennessee, Alabama, and Mississippi. Encompassing 185 acres (75 ha), the park features 29 platform mounds, a museum, an archaeological laboratory, a campground, and a conference center. The park hosts the Moundville Native American Festival each October, as well as other events throughout the year. The Mildred Westervelt Warner Transportation Museum serves to broaden the knowledge of transportation related topics that gave rise to the City of Tuscaloosa’s development and human culture through exhibits and quality programs of research, instruction, and service. The Warner Transportation Museum is housed in the historic Queen City Pool House on Jack Warner Parkway, built in 1943 by architect Don Buel Schuyler, an apprentice of Frank Lloyd Wright. The community used the pool and the pool house until it was closed in the 1980s. On December 13, 2011, the renovated bath house was officially reopened as the Mildred Westervelt Warner Transportation Museum, with exhibits tracing the city’s history through the development of its transportation systems.  The University of Alabama is pleased to offer an interdisciplinary graduate certificate in museum studies intended for graduate students who are either majoring in a traditional museum content discipline such as art history, history, anthropology, American studies, geology, or biology; or students who have already completed graduate degrees in these disciplines. Students who complete the certificate program will be qualified for a variety of entry-level professional positions in museums in areas such as museum education, collections management, exhibit planning and development, and museum administration. 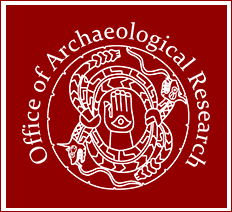 The University of Alabama’s Office of Archaeological Research (OAR) has over 40 years of experience providing archaeological and historic research and cultural resources management services to multiple federal, Native American tribal, state, and local governmental agencies as well as private and commercial clients. OAR’s priority is to assist our clients to meet certain technical and environmental regulatory requirements to successfully accomplish their objectives. The Paul R. Jones Collection of American Art at The University of Alabama includes one of the largest and most comprehensive collections of 20th-century African American art in the world, amassed over decades by Paul Raymond Jones, who has been described by Art & Antiques magazine as “one of the top art collectors in the country.” Jones donated the 1,700-plus piece collection valued at more than $10.3 million to the College of Arts and Sciences at The University of Alabama in October 2008. An additional 300 works were added in 2013, bringing the total to over 2,000 works. The collection includes art in a variety of media from more than 600 artists.